Welcome to the Easy Pillowcase Tutorial! I started making pillow cases for my kids when they started sleeping in their ‘big’ beds. My boys have quite a collection of pillowcases. I gift my kids pillowcases on Christmas Eve-so they have a great nights sleep. 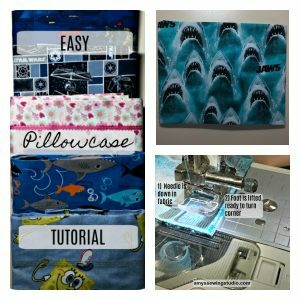 You could make any kind of theme pillowcase, there are so many FUN choices of fabric for pillowcases! My husband even said he’d sleep on a ‘FUN’ pillowcase! Scroll down to see other choices for girls and boys themed fabrics! After awhile you will have quite a collection of pillowcases, this is a great way to keep memories of things the recipient has liked throughout the years; whether it be sports, cartoon characters, music or art. My boys love all their pillowcases! They even have used them for trick or treat bags! Having themed pillowcases even make sleepovers more fun for your guest. 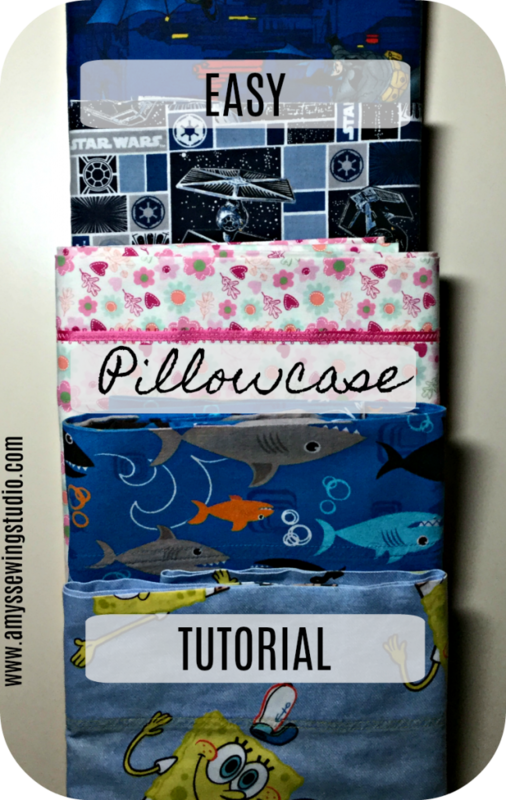 Pillowcases are easy simple sewing projects! 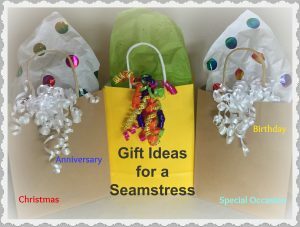 They make great gifts for friends or family members and are a simple project for beginners learning how to sew. One yard of 44/45″ cotton or flannel fabric for a standard size pillow; this is also the perfect width for a standard size pillow) King size pillows will need a longer length of fabric. 3)Pin one width side and one length side. 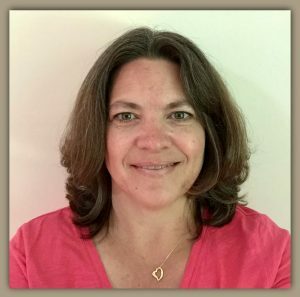 Start stitching, using standard stitch length and 5/8″ seams. 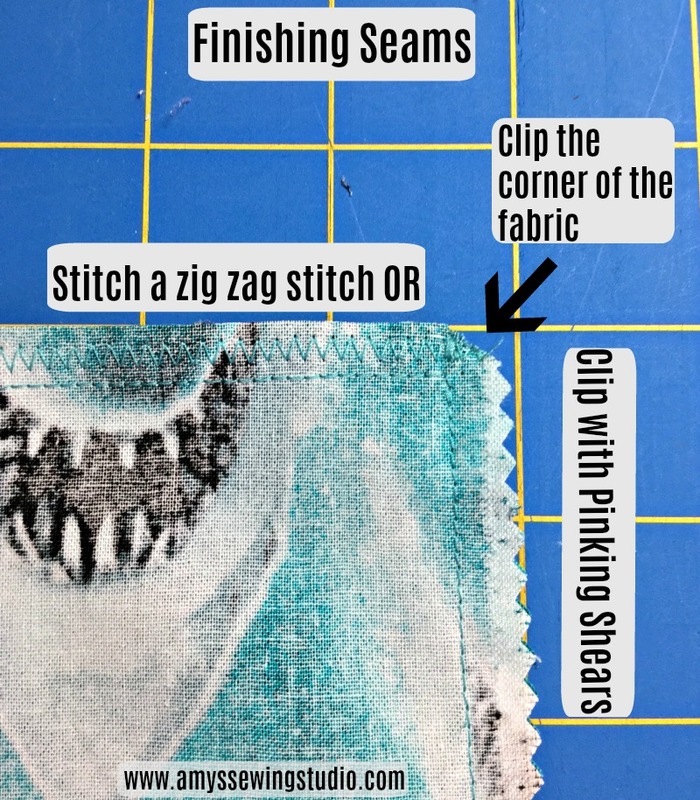 It doesn’t matter if you start sewing on the width side seam or the length side seam, just make sure you backstitch at the beginning and ending of your stitching. As your stitching gets close to the corner, slow down. The corner is where the intersection of the width and length seams intersect- 5/8″ away from both edges. At this point, you’ll want to STOP your machine with the needle DOWN IN THE FABRIC. 4)Lift the sewing machine foot and turn your fabric. This edge should still have 5/8″ seam allowance. 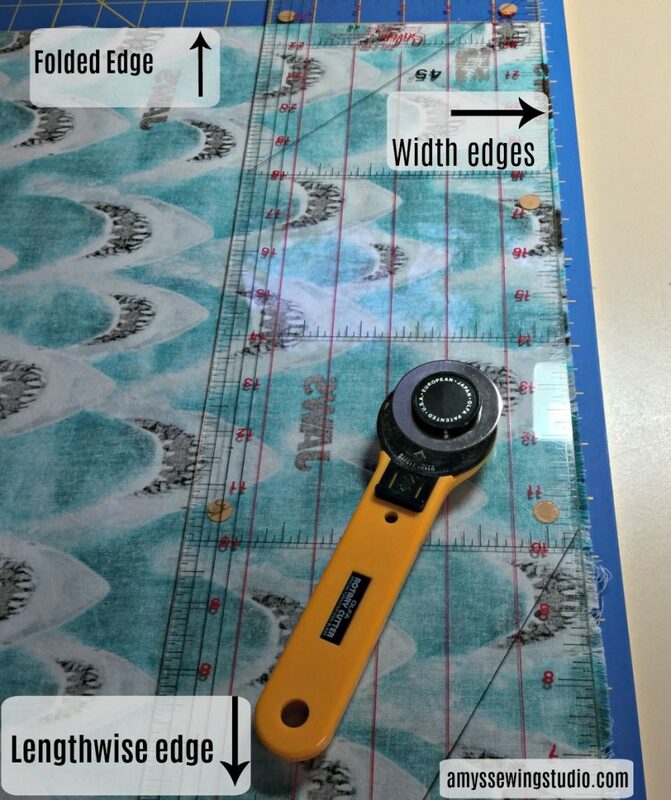 If you find the seam is off you may turn the fabric back to where it was, put the foot down, and use the hand wheel to adjust by a stitch or two to get to the correct seam allowance. 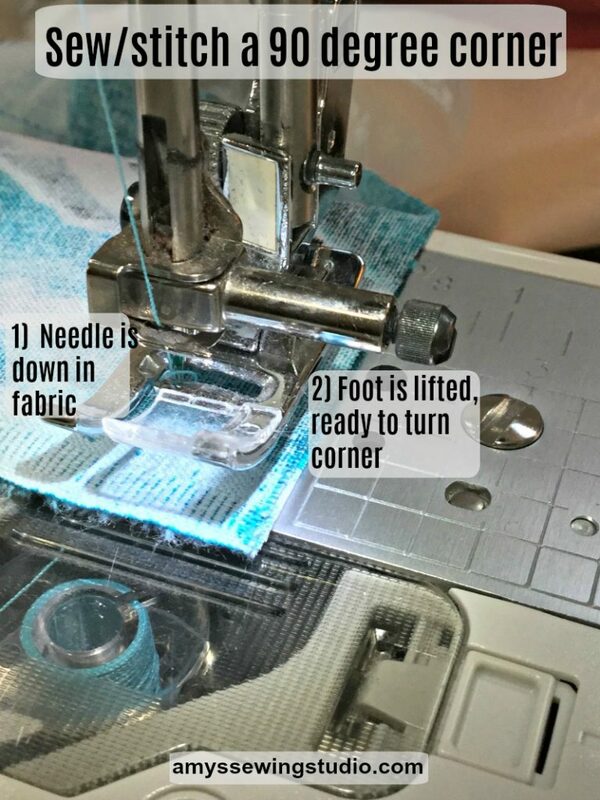 Make sure needle is in fabric and foot is lifted and turn fabric again. 6)Clip the stitched corner diagonally in the seam allowance, being careful not to cut through corner stitching. 8)Press your seams to the side if you did the zig-zag stitching and press your seams open if you used the pinking shears. 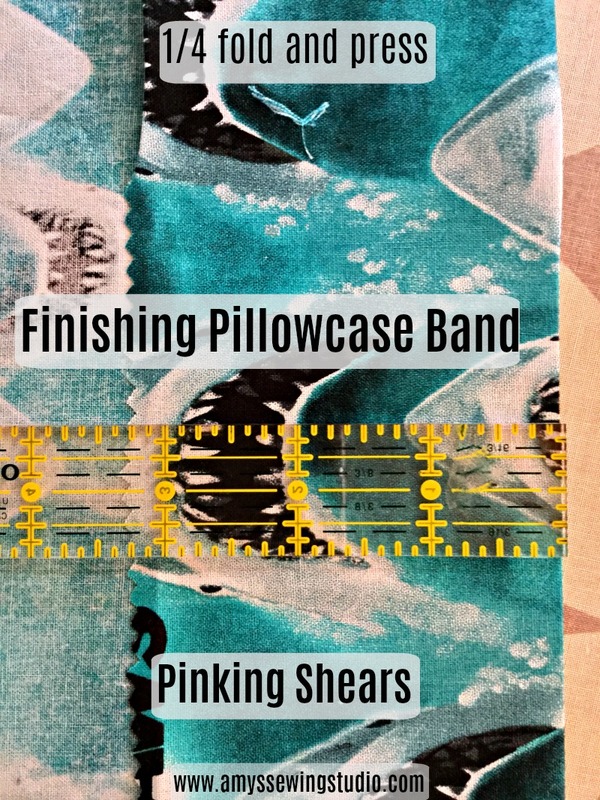 A)Finish raw edge of pillow opening by turning down 1/4″ of fabric to wrong side of fabric, pressing as you go OR use the pinking shears to cut of the raw edge of the pillowcase opening. Using the pinking shears will eliminate the need to fold down the 1/4″. C)Before stitching, set up your machine for circular/tube stitching. Some machines have a removable case and some machines have a part that drops down to allow for circular stitching. Refer to your manual for extra help. D)With pillowcase still turned inside out, straight stitch close to the folded edge OR 1/4″ away from pinked edge, all the way around the pillow. Make sure to backstitch at the beginning and ending of your stitching. E)Clip your threads and turn the pillowcase right side out. You are now finished! You may add trim to the band area you just finished, if you so desire. 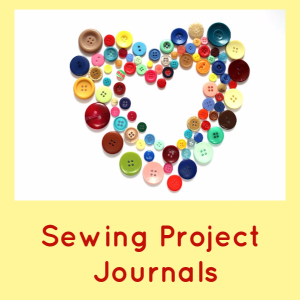 You may also add another row of stitching 1/4″ away from the stitching you just did. 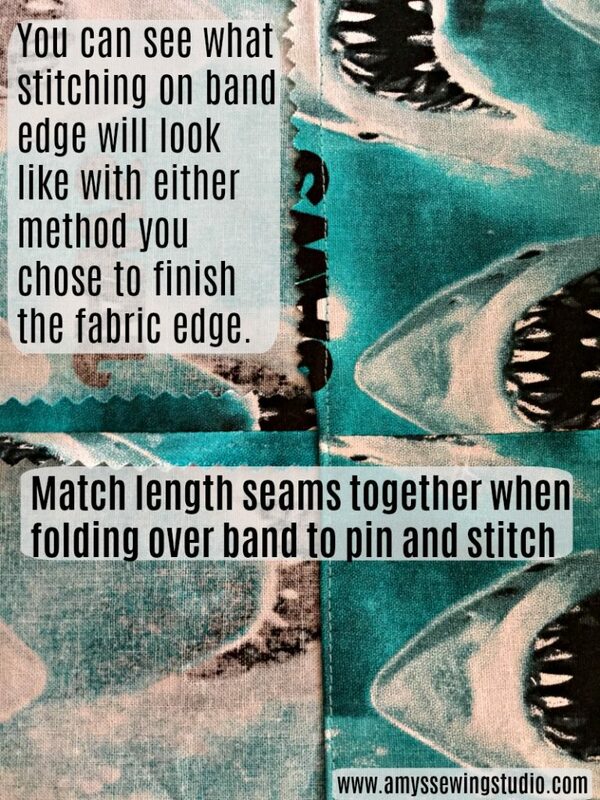 Make sure the second row of stitching is in the band area. Looking at the picture above, the second row of stitches will be to the right of the stitching you see. This adds a professional look to your pillowcases. ENJOY sleeping or gifting your new pillowcase! If you enjoyed this post, SHARE it on your favorite social media!